Originally from Virginia Beach, Virginia, Brian has been with Rise since 2003. He is the Technical Assistance Program Manager providing organizational capacity building and management, training along with housing development consulting services to nonprofit organizations, financial institutions and government partners. Additionally, he serves as a field instructor for Washington University’s George Warren Brown School of Social Work. Brian has two decades of urban planning and community development experience. Prior to relocating to the St. Louis area, he was a Senior City Planner for the City of Norfolk, Virginia where he specialized in several planning functions that included housing, community development, transportation, and economic development. He received his undergraduate degree from Saint Augustine’s University in Raleigh, North Carolina and holds a Masters in Community and Regional Planning from Iowa State University in Ames, Iowa where he currently serves on the Department’s Advisory Committee. Brian has completed financial management executive education at the University of Virginia’s Darden School of Business and received the University of Missouri – St. Louis Chancellor’s Certificate of Planning and Zoning. He takes courses in Washington University’s social work continuing education program. Brian is a certified Housing Development Finance Professional and also a Certified HOME Program Regulations Specialist. Formerly serving on the City of Maryland Heights’ Citizens Advisory Group for Greenways and Trails and the city’s Board of Adjustment, he remains actively involved. 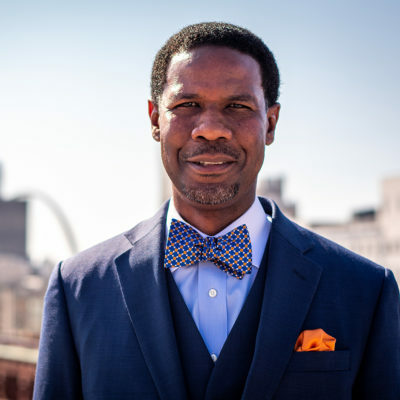 He currently serves on the Maryland Heights Planning and Zoning Commission and is a member of the American Planning Association where he is actively involved with local food systems planning in the Greater St. Louis region.